The American College of Physicians (ACP) issued a policy statement years ago endorsing medical marijuana use. The group has urged the government to reverse its ban on medical treatments using marijuana. "ACP encourages the use of non-smoked forms of THC (the main psychoactive element in marijuana) that have proven therapeutic value." The Philadelphia-based organization, the second largest doctor's group in the United States, cited studies into marijuana's medical applications such as treating severe weight loss associated with illnesses such as AIDS, and treating nausea and vomiting associated with chemotherapy for cancer patients. Researchers reported in the August 15, 2004 issue of Cancer Research, the journal of the American Association for Cancer Research, that marijuana's constituents inhibited the spread of brain cancer in human tumor biopsies. Researchers at the University of Milan in Naples, Italy, reported in the Journal of Pharmacology and Experimental Therapeutics that non-psychoactive compounds in marijuana inhibited the growth of glioma cells in a dose-dependent manner, and selectively targeted and killed malignant cells through apoptosis. 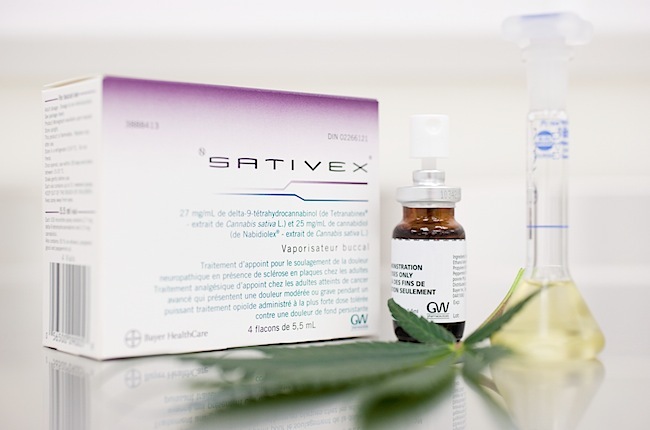 "Non-psychoactive CBD produce[s] a significant anti-tumor activity both in vitro and in vivo, thus suggesting a possible application of CBD as an antineoplastic agent." According to Dr. Allan Frankel, "Cannabidiol will be used to treat chronic pain, anxiety and other mood disorders, as well as being a neuro-protectant and a very helpful anti-cancer drug." CBD is an extremely powerful anti-inflammatory. While inflammation is normally treated with corticosteroids and non-steroidal anti-inflammatory drugs (NSAIDS), the improvements in quality and understanding of CBD content increases the opportunity for inflammation and associated pain to be treated with Cannabidiol. Dr. Frankel goes on to say, "CBD works against pain primarily in the peripheral nervous system. It does not work like typical pain meds by affecting the central nervous system; it works at the neuro-synapse. When we sustain injuries, often the pain is acute and disappears completely. Other times we have persistent or intermittent pain, but it is still not that big of a deal. However, with many disorders the pain is either part of the underlying problem itself (multiple sclerosis, rheumatoid arthritis, etc.) or the pain becomes a syndrome of its own. In other words, the pain takes on a life of its own and is now crippling the patient." Researchers believe they've found a substance that might help fight cocaine addiction—marijuana. Doctors from the National Institute on Drug Abuse found that the brain has receptors for many drug compounds, including marijuana compounds such as Cannabidiol, which has a synthetic form called JWH133. When scientists gave samples of JWH133 to mice that were trained to be regular users of cocaine, the mice's use of cocaine decreased. The more JWH133 the mice got, the less coke they wanted. "The researchers deduced that the reason the mice dialed back their cocaine habits was that the drug no longer made them feel so good," says Karen Kaplan in the Los Angeles Times. The receptors for drug compounds work by stimulating the brain's reward system. JWH133 apparently eliminates the rewarding effect that comes from taking cocaine. In one experiment, mice given cocaine ran wildly on a treadmill—until they were given JWH133, which dampened cocaine's effects and caused them to run more slowly. Dr. Antonello Bonci of the NIDA, as quoted in TIME, is extremely excited and says that studies of Alzheimer's disease and psychosis have found that JWH133 may have therapeutic uses against those conditions, too: "It's extremely exciting." CBD turns the debate about illicit-drugs-as-medicine on its head—medical marijuana that does not get the user high. One woman with Parkinson's disease, who Dr. Michael Callton treats, told him she ingests an oral marijuana candy, a medicine that doesn't make her intoxicated in order to calm her tremors enough so she can sleep. "She doesn't want to get high," said Dr. Callton (also Michigan Republican Representative). "She just wants to sleep." Researchers at the California Pacific Medical Center Research Institute (CPMCRI) combined the non-psychoactive cannabis compound, Cannabidiol (CBD), with Δ9-tetrahyrdocannabinol (Δ9-THC), the primary psychoactive active ingredient in cannabis . They found the combination boosts the inhibitory effects of Δ9-THC on glioblastoma, the most common and aggressive form of brain tumour and the cancer that claimed the life of Sen. Ted Kennedy. CBD-rich oil is best absorbed through sublingual application, and provides the highest available CBD content without a psychotropic effect (meaning, there is less than 1% THC). When taken sublingually, the CBD is absorbed via the oral mucosa. The oral mucosa contains small micro-capillaries that allow the CBD to be absorbed directly into the bloodstream. Absorption directly into the bloodstream allows for an almost immediate effect and bypasses "first pass" liver metabolism, allowing for the full strength of the CBD to be experienced. This secondary longer-lasting effect from the RSHO provides pain relief for several hours. There have been stories of patients suffering from Parkinson's disease whose tremors ceased for several hours after taking RSHO. Even those suffering from sleep disorders have been known to not need to take their sleep medications because of the sustained delivery of the CBD-rich oil. CBD is an all-purpose general medicine which has anti-inflammatory, anti-anxiety, anti-epileptic, sedative and neuro-protective actions. It is also a potent anti-oxidant, protecting against chemical damage due to oxidation. Studies have suggested that CBD protects against the development of diabetes, certain kinds of cancer, rheumatoid arthritis, brain and nerve damage due to stroke, alcoholism, nausea, inflammatory bowel disease and Huntington's disease. Medicine just does not get any better. Mieko Hester-Perez went public on television about giving her autistic son Joey medical marijuana.She says it saved his life! "It seems to me if one is going to need to use drugs, one ought to consider a relatively safe drug, like marijuana," said Bernard Rimland, Ph.D. of the Autism Research Institute. "The reports we are seeing from parents indicate that medical marijuana often works when no other treatments, drug or non-drug, have helped." Dr. Ester Fride strongly recommends the use of cannabinoids in pediatric medicine. She notes that "excellent clinical results" have been reported in pediatric oncology and in case studies of children with severe neurological diseases or brain trauma, and suggests that cannabis-derived medicines could also play a role in the treatment of other childhood syndromes, including the pain and gastrointestinal inflammation associated with cystic fibrosis. RSHO (Real Scientific Hemp Oil) is a wholly-owned subsidiary of US Hemp Oil which falls under the PhytoSPHERE client group. 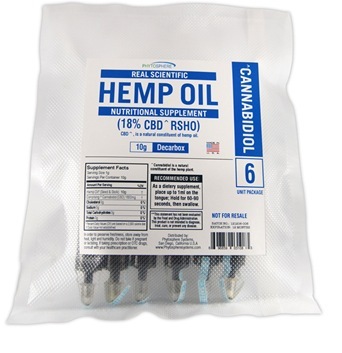 US Hemp Oil is the world's leading hemp products company. This page contains a single entry by sal published on October 25, 2013 5:47 PM. 28 Signs That The West Coast Is Being Absolutely Fried With Nuclear Radiation From Fukushima was the previous entry in this blog. Halloween Warning: Watch Out for Neurotoxic Artificial Food Dyes in M&M's Candies is the next entry in this blog.